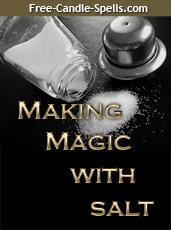 Part two of a blog article about using personal items and concerns in love spells – J. There is another method that is considered effective in “zeroing in” on your target called Personal Concerns. this is the polite way of saying biological things that are distinctly coming from your intended target that contain some DNA. 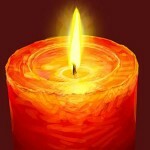 This is the most highly respected and highly coveted item to gather for love spells. It narrow down the spell to ONLY him or her, eliminating any other possible “target”. I will not go into detail in to methods of collecting these items with the one exception is that only if you plan to “tie yourself down” to one man or woman, do not mix the sexual fluids. Single sexual fluids, such as from a man’s condom, would be used to control and command, like staying home, stop running the streets, stop gambling or give me household money. The same goes with a woman and her vaginal fluids. If you are wanting to create a love spell to create a union with another person, then using BOTH sexual fluids is important. You know how to gather these Personal Concerns, so I will not elaborate any further. Despite some of these items being absolutely gross to consider collecting, you can see that they are very, very personal to the person, and have absorbed the targeted person’s energy or DNA. It depends on you and your personal feelings regarding this person to determine how effective you will be in collecting these items. The most important thing to remember is that you have remember to “seize the opportunity” when it strikes. If you see a guy that is at the club on a regular basis, grab that drink straw or the napkin he wiped his brow on after dancing with someone (maybe you) and tuck it in a plastic zip bag to use in the future. I advised one male client that was seeking the company of a woman from his church to take her out to brunch after service (less threatening), tell her that he lipstick is a beautiful color (will make her apply it again – maybe) and then while dining, tell her she has something on her lip (to make he blot her lips, leaving a lipstick stain). Then I told him to pause a moment, tell her ‘it is still there’ and suggest maybe she should visit the ladies room. Once she is out of sight, trade out her napkin with another clean one and tuck the lipstick marked one into a plastic bag in his coat jacket, so that he can use it to draw her closer. He did it and I fashioned a love charm for him. They started dating and I haven’t heard from him since, so I can only assume that things are alright. Women can do the same thing, especially if you take him a soda in a cup with a straw and have him drink from the straw and then volunteer to toss out the trash while keeping the straw to use to fashion a love charm from it. You just have to remember which side of the straw he used because that side contains lip skin flecks and saliva on the tip of it for you to use.